Whether in the field or for casaul wear, these camouflage 6 pocket pants from World Famous hold up to abuse and only get more comfortable with wear. Prairie Ghost® is the ultimate Western camouflage. It is designed for areas with lowgrowing vegetation and direct sunlight. Prairie Ghost features muted natural colors, predominantly vertical lines, and distinctive prairie coloration. It is the ideal pattern for grassland, sage and desert hunts. Pull the vanishing game in conifer forests with Ridge Ghost®. Where underbrush is limited and sunlight varies from extremely bright areas to areas of shade and dark shadows, you need a completely different combination. Here, standing trees are often punctuated with deadfalls and new growth with vivid colors. Ridge Ghost revolves around a linear pattern with soft browns and greens against an open natural background. Ridge Ghost® is equally at home on a mountain elk hunt or a pine plantation deer hunt. 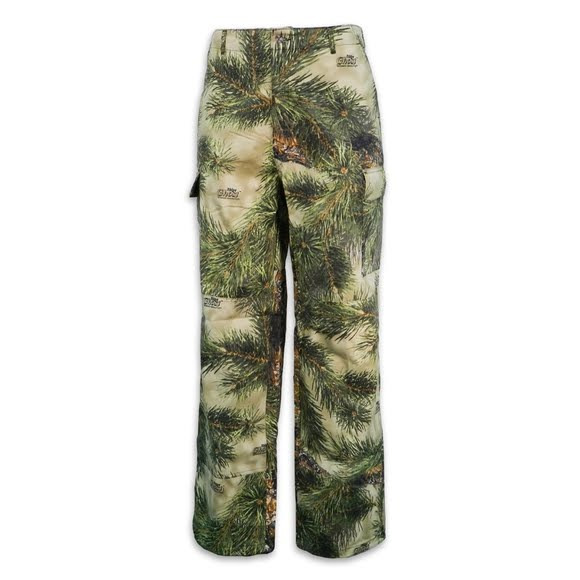 I'm very excited about finding these pants in the ghost camo pattern they are very hard to find!! Fit was great. The camo works perfect for hunting on the open prairie. Seams ripped out the first day. They just unzipped like a bag of dog food does when you first open it. Very poor quality sewing on these pants. Will not repurchase. Love the style, camo pattern, extra pockets etc. My only issue is the size. Where I live a small means small. This particular pants is marked small but is equivalent to our 2x large, which is way to big for me. To wear them properly for me, would be to have them altered by a seamstress, which is expensive. Probably as much as the cost of the pants. I don't know what the original intent is for the use of this item, but believe me , I can't wear these like I originally intended.